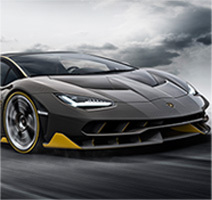 Only a Motorsport world leader and the preferred supplier of the most prestigious car and supercar brands could benefit from its 140 years of history and passion to create Collezione, the dedicated range tyres for high value cars older than twenty years. Let yourself be conquered by our Collezione. U sing the most updated and advanced compounds, Pirelli offers greater grip and improved ability to expel water assuring reliability and high security levels without losing the original style. 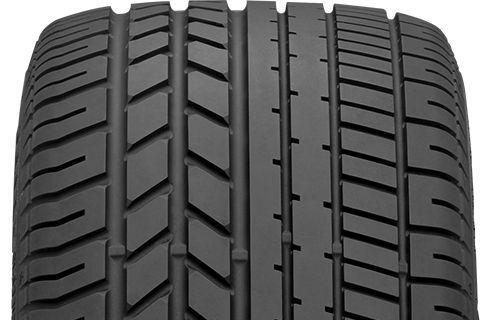 P irelli Collezione tyres are built to offer the original ride emotions, assuring the perfect fit in terms of style and technical performance as originally provided by classic cars. 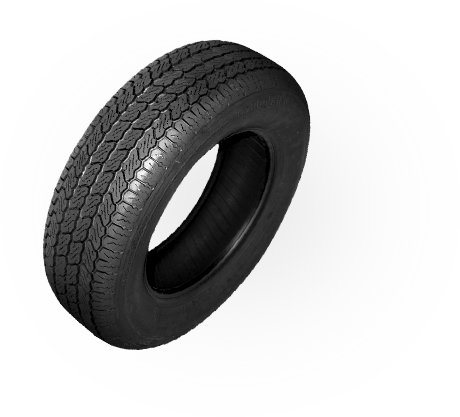 In the mid-50’s a radial casing structure and a textile belt were introduced in tyres. 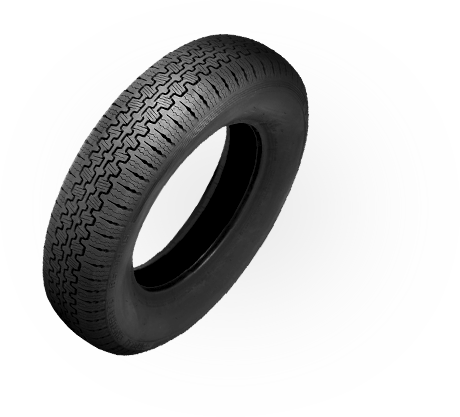 The “stabilising” function of the belt prevented tyre deformation in any condition of use. 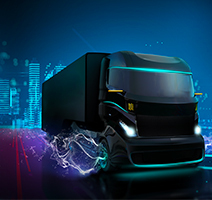 The adherence was greatly increased and the smooth rolling allowed tread wear to be reduced by more than one half in comparison to a cross-ply tyre. Moreover, the use of the belt favoured the design of new profiles and tread patterns providing greater grip. 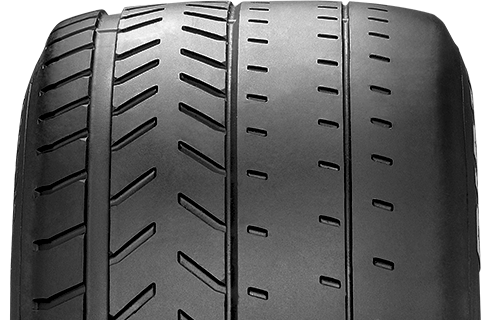 Patented in 1951 and regularly put on the market in mid ‘50s, the Pirelli Cinturato has kept the classic tread pattern “367” that made it famous throughout the world for over a decade: in 1966 this pattern was codified with the acronyms CF67/ CA67. This name came from the 67 manufacturing licences issued by Pirelli to the most important tyre manufacturers in 25 countries. 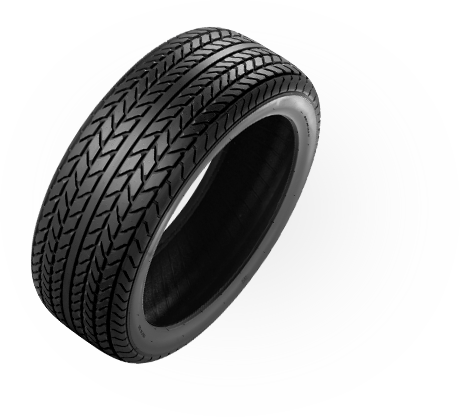 CA 67 was the first textile radial tyre whose speed code was SR, up to 180 Kmh. Its tread pattern was made of ribbed elements separated by four longitudinal grooves “a greca”, very cut shoulder and wide siping. 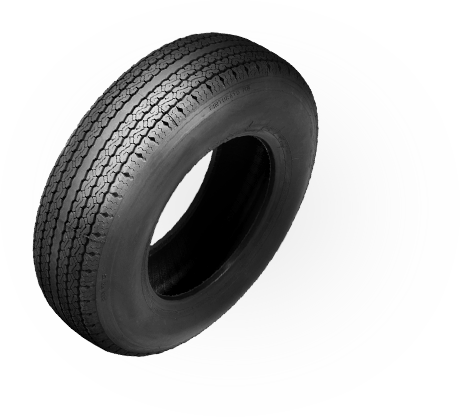 The tread compound was very resistant to high temperatures and to tearing. 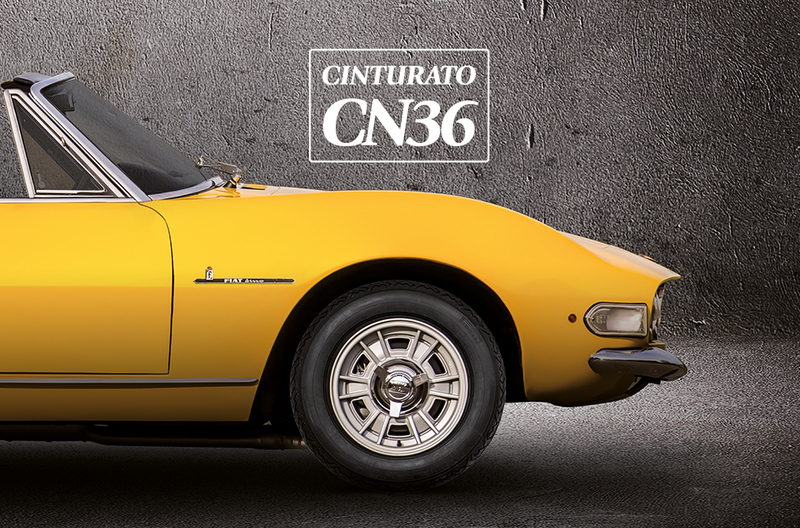 In the mid ‘60s, Pirelli Cinturato was the reference tyre for the greatest part of the automotive industry in the world. AC: Ace; Alfa Romeo: 1900, 2000,2600; Aston Martin: DB2/4; Citroen: raction Avante; Ferrari:250 GT; Lancia: Aurelia, Flaminia. Alfa Romeo: 100; Audi: Vantage '79-'84; Austin: A55, 60; BMW: 1800, 2000; Citroen: GS; Lancia: Fulvia; Mazda: 1800; Porsche: 924; Rover: 2000, 2200. Alfa Romeo: Giulietta, Duetto, Giulia (pre 1969); Lancia: Flavia, Appia; Lotus: Elite; Peugeot: 403 and 404; Porsche: 914; VW: Beetle. Alfa Romeo: Giulietta Giardinetta; Daimler: Sp 250; Ferrari: 195 Inter, 212 Inter, 166 Sport, 166 Inter; Lancia: Flavia; Porsche: 356. Alfa Romeo: DB4 (after 1962), DB5, DB6 series 1; Ferrari: 330 L, 250 GTO,250 GT Lusso, 400 Superamerica, 410 Superamerica Series II, 410 Superamerica - Series II, 410 Superamerica - Series I, 250 GT 2+2, 375 America, 250 Europa; Jaguar: Mark II saloon (2.4, 3.4, 3.8 litres), E-Type 3.8 litre Series 1, S-Type saloon (3.4/3.8 litres), E-Type 4.2 litre Series 1, E-Type 2+2 sports, E-Type 4.2 litre Series 2; Mercedes: 220D, 300SL. Aston Martin: DB2, DB2/4, DB2/4 MK3, DB4, DB4 GT Zagato; BMW: 375; Jaguar: XK120, XK140 , XK150 , Mark IX; Maserati: 3500GT, Mistrale. The upwards segmentation of the automotive market – in the mid ‘60s – brings the introduction of tyres with speed code HR (up to 210 Kmh) and then VR (up to 240 Kmh). The new versions of the Cinturato H and HS (High Speed) were created, characterized by the new tread pattern CN72 which allowed for a silent and comfortable ride. 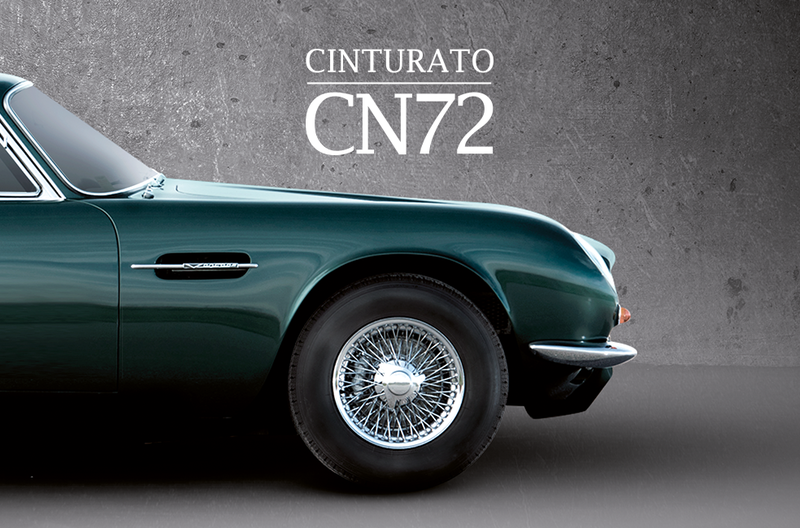 Introduced in 1966, the CN72 equipped the whole Ferrari range (250 GT, 400 Superamerica, 275 GTB) as well as the Maserati 4000 and 5000. The following year Lamborghini models (350 GT, 400 GT, Miura) were fitted. In 1969 the first low-profile size GR70 VR 15 (225/70 VR 15) was created. It was chosen by Ferrari for the 365 GT and GTB, by Lamborghini for the Miura and Jarama and in particular by Maserati for the Ghibli, Quattroporte, Mistral and Mexico. The tread pattern CN72 evolved into CN73. Aston Martin: DB6 MKII 1970-1971, DBS 1969-1971; Bentley: T1 1966-1973; Ferrari: 365 GT 2+2, 365 California, 500 Superfast, 330 America, 330 GT 2+2; Lamborghini: 350 GT, 400 GT 2+2, 400 GT 2p., Espada, Jslero, Jslero S, Miura P400; Maserati 5000GT, 4200 Quattroporte, Mistral 1968, Mexico, Ghibli, Sebring. At the end of the 60’s, after many years of study and experimentation, a new technological era started: the use of the steel belt on high performance tyres of HR and VR series (for speeds up to 210 km/h and more). 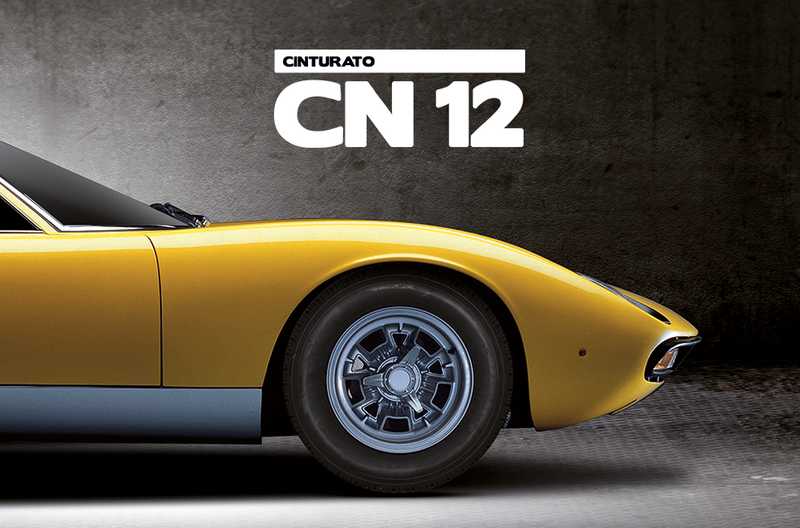 In 1968 the Cinturato CN36 was born, specifically created for the Fiat Dino sized 185 HR 14. Designed to match the performance of High Performance and “Gran Turismo” cars, it was the first Pirelli steel radial tyre of standard production. It also marked the Pirelli re-entry into competitions (Rallies) and registered countless victories. The pattern stated as “soft at low speed and precise at high speed”, with longitudinal and diagonal elements that permitted the absorption of obstacles and above all kept the aquaplaning effect at bay. It was a HR tyre with notable sport features, which after a few years extended its size range to both the Serie 70 intended to equip BMW models and the 13 inch sizes with which the Fiat 124 Sport was equipped in 1971. It was thanks to the 124 Sport/CN36 combination that Pirelli’s long history at the top of International Rally began. Alfa Romeo Giulietta 1800; Fiat: 124, 125, 131; Lancia: Monte Carlo; Lotus: Eclat. Alfa Romeo: Spider, Alfetta, Giulia, GT Junior, GTV; Lancia: Gamma. Alfa Romeo: Giulietta Giardinetta; Daimler: Sp 250; Ferrari: 365 P, 250 LM; Fiat: 2300 Coupe; Lancia: Flavia; Porsche: 914, 911 F, 356. Porsche: 944, 924, 911 G, 914, 911 F, 356. 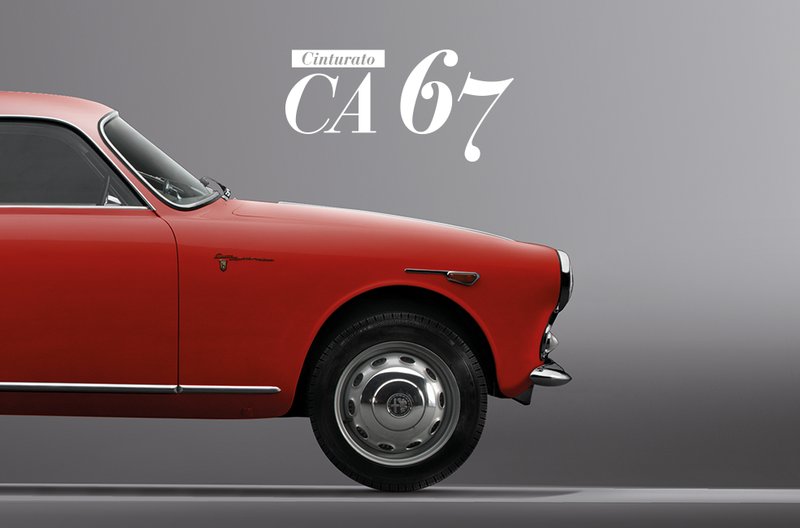 While the Cinturato CN72 covered the standard, high- profile sizes, with a range that at the beginning of the ‘70s went from 175 HR 13 to 235 VR 15, the availability of low- profile sizes increased with the commercialization of the Serie 60 sizes (245/60 VR 14, 255/60 VR 15) as well as the new Serie 70 sizes (205/70 VR 14, 215/70 VR 15). For these new sizes, the tread pattern CN12 was created. It equipped models such as the Lamborghini Miura P400, Jarama, Urraco, and the Maserati Bora. Aston Martin: DB4, DB5, DB6; Jaguar: Mark X 3.8 litre saloon, Mark X 4.2 litre saloon, E-Type 4.2 litre Series 1, Jaguar 420 saloon, E-Type 4.2 litre Series 2, XJ6 Series 1 saloon, E-Type Series 3 V12, E-Type Series 3 V13, XJ12 Series 1 saloon, XJ6 Series 2 saloon, XJ12 Series 2 saloon. Ferrari: 400i, 512 BB, 400 GT, 365 GT4/BB, 365 GT4 2+2, 365 GTS/4 / 365 GTB/4, Spyder, 365 GTC/4, 365 GTB/4; Lamborghini: 350 GT, 400 GT 2+2, 400 GT 2p., Espada, Jarama 400 GT, Jslero, Jslero S, Miura P400S, Miura SV. Aston Martin Vantage (‘79-‘84); Lamborghini Miura SV rear. 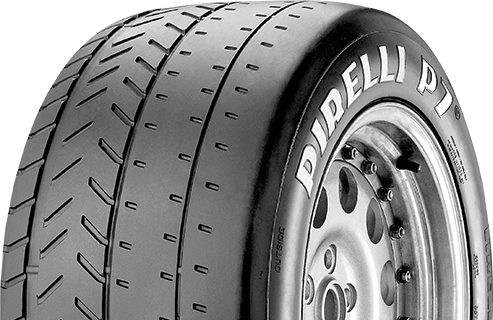 Although it was officially launched onto the market in January 1976 in the road version, the Pirelli P7 had been experimented in the World Rally Championship races since 1974 with the Lancia Stratos. Named Supersport, the new radial brought important innovations into the world of racing tyres, such as the nylon zero degree belt and in particular an ultra- low profile geometry Serie 50. Thus, the development process of the low profile tyres that Pirelli had started with the Cinturati CN73, CN54 and CN36 (Serie 70) and with the Cinturato CN12 (Serie 60) between late ‘60s and early ‘70s, kept going on with the P7. In the same way that the road version led to making the Serie 50 available to standard- model cars, the P7 used in racing quickly introduced ultra-low profile sizes, all the way to the Serie 30. 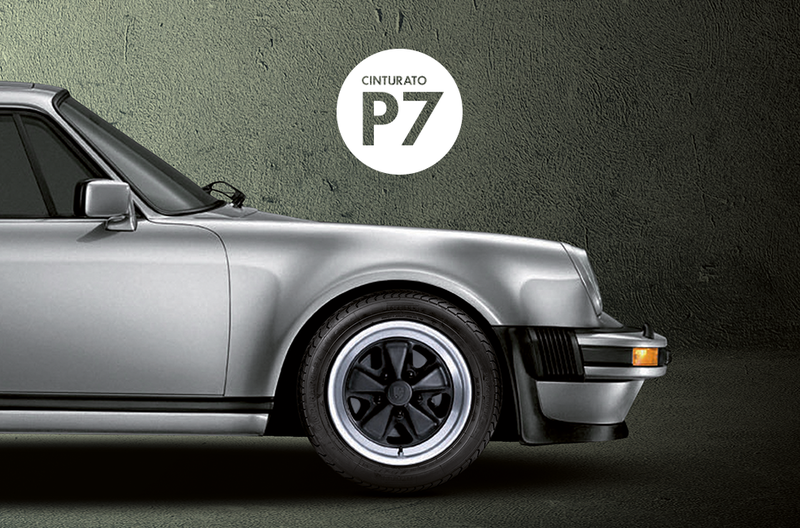 The road P7 was adopted for the first time on the Porsche 911 Carrera Turbo, followed by the Lamborghini Urraco and Countach in 1976, as well as by the De Tomaso Pantera. In the size 195/50 VR 15, the Pirelli P7 was also homologated for the road version of the Fiat 131 Rally. A car maker that “creates” a new series of tyres: Jaguar. In 1977 Jaguar asked Pirelli to specifically develop the P5. Technological excellence for luxury cars, comfort and noiseless ride, highest quality: these were the characteristics that Pirelli P5 exclusively ensured to the British sedans. 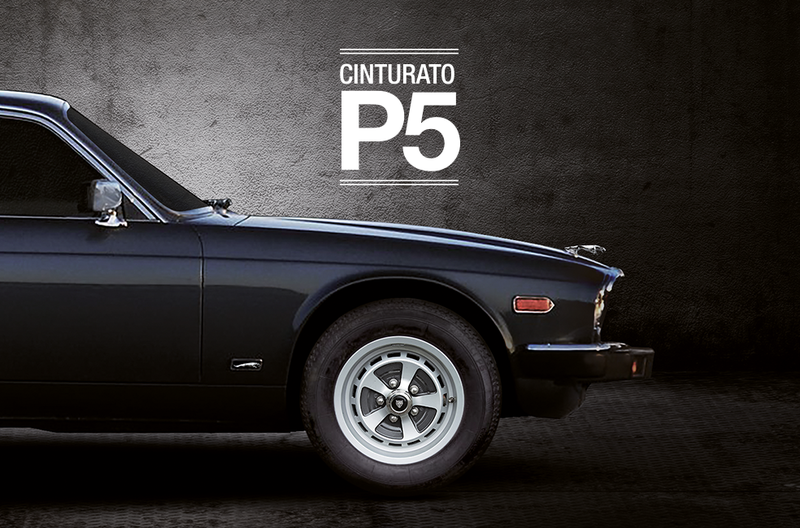 In 1979 Pirelli P5 was officially homologated in the size 205/70 VR 15 on all Jaguar models, from XJ6 to XJ12 till XJS. The Lancia Gamma saloon and coupé and the Alfa Romeo Alfetta 2.0 saloon and GTV were soon to follow. Together with the “racing” P7 and the “sporting” P6, the P5 completed by the end of the ‘70s the Pirelli ultra-low profile tyres family “Serie Larga”. With a rich tradition of Motorsport behind it, Pirelli has breathed new life into historic rallying with the P7 CORSA™ Classic range. Rather than a new version, this is an innovative reinterpretation of the 'Competition King': the tyre that defined Group B rallying. P7 CORSA™ Classic combines two elements that make the difference: latest-generation structure and tread pattern to deliver maximum performance in complete safety, matched with an unvaried traditional appearance for the sidewall. This winning combination perfectly matches the vehicles for which it is designed, helping to maintain originality right down to the smallest details. This incorporates two specific tread pattern designs on the same tyre: slick for dry and mixed conditions, together with a grooved pattern for wet conditions, developed from the asymmetrical pattern that has characterised the very best Pirelli Ultra High Performance tyres. 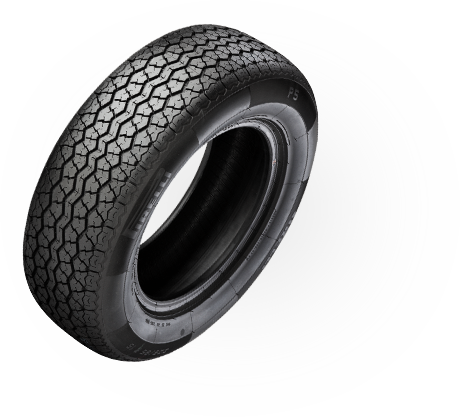 This is characterised by an asymmetric tread pattern divided into three areas, which ensure excellent roadholding both in dry and wet conditions, outstanding structural durability, maximum lateral stability and consistent performance levels in the heat of competition. With more than 8,400 original drawings, available to collectors, Borrani Wheels now manufactures vintage-style racing wheels with a timeless appeal. Over 70% of all Porsche vehicles ever built are still on the road today. Porsche Classic makes sure that it stays that way. Porsche Classic has an objective: the maintenance and care of historic vehicles which have not been produced in standard production for at least 10 years. 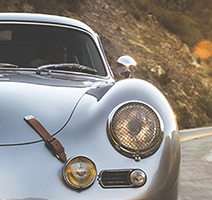 The production and supply of Porsche Classic Genuine Parts allows to ensure that these legends remain on the road even longer, thanks to a state-of-the-art warehouse with around 52,000 Classic spare part items.